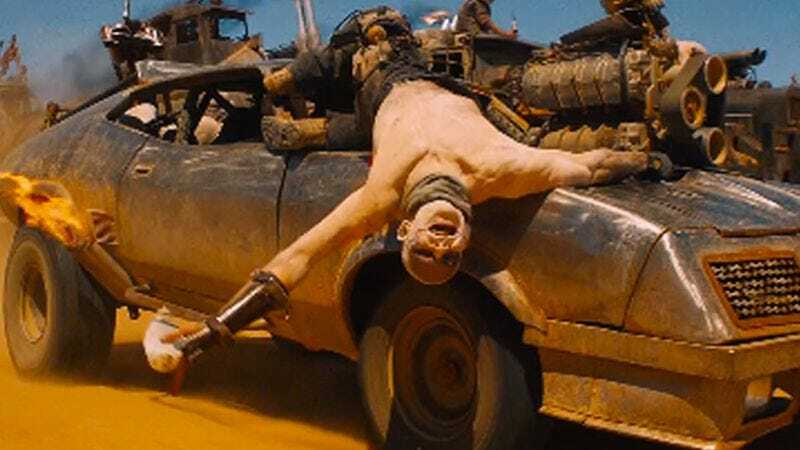 The deal is part of a promotion for the upcoming Mad Max video game. Between this and the “Mad Max with go-karts” short film we reported on recently, this is one seriously effective marketing campaign. It’s also not bad press for Uber, the Ayn Rand of companies, which usually gets press that is… slightly less than positive, shall we say. If you’d like to order one of these rides for yourself, you can head here and do so. Be warned: The promotion is ending this evening, though it’s unclear whether that means just the free rides will cease, or whether the cars themselves are also going away as of tomorrow. Hopefully the former, since anyone who agreed to drive one of these things around surely wouldn’t be in any hurry to give it up. Then again, they live in Seattle (city motto: “If it exists, we can find a way to charge you too much for it”), so presumably they’ll find buyers for these cars among those eager to show up to work at Microsoft looking like a deranged sadist.